The role of the Field Ambulance was to treat and recover the wounded, often under fire, before removing them from danger. Seeing action in North Africa and throughout the entire Italian campaign William recalls his experiences in detail with the emotion of someone who lost many friends in bloody conflict. Superb account of William Earl's career as a Nursing Orderly in various WW2 campaigns. 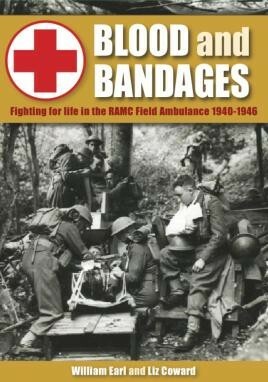 Blood and Bandages is easy to read and a unique perspective of WWII. I really enjoyed Blood and Bandages. It's got a lot of information in it that interests me.